A whiteness meter is used in the rice milling industry to let the operator know that they are milling rice to the optimum quality that the customer is demanding. Why is this important? As you whiten a rice kernel with an abrasive stone, you are wearing off layers of the kernel as you get closer to the starch. The more you whiten the kernel, the more weight you are taking off. Removing unnecessary layers of whiteness causes you to have to put more kernels in the package to achieve the target packaging weight. Since rice is sold by weight, you are reducing your potential profits by over-milling rice. The same is true with under-milling rice. Japanese rice for sushi, for example, is extremely white and starchy. If you under-mill the rice and present a light brownish kernel, your product is going to be rejected by the buyer. The whiteness meter can validate that you are milling precisely to the levels which make you and your customer happy. 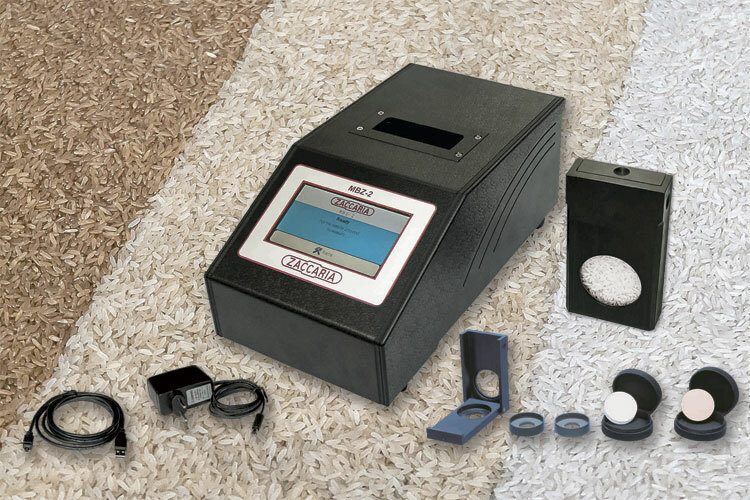 Aside from telling you the whiteness value of the rice kernels, the MBZ-2 whiteness meter also gives you a value for both transparency and polish (it’s important to note that the MBZ-P portable whiteness meter does not give you these second and third values, only whiteness). The transparency value measures how far into the kernel you can see, while the polish value is assigned based on the shine that the rice kernels have. Think of newly shined shoes vs old weathered shoes. The polish value tells you how much like a gemstone your kernels look. The biggest question that we receive here at ZaccariaUSA concerns the calibration of the whiteness meter. We have created a Quick and Easy Calibration Video that shows you how to calibrate the MBZ-2. Should you have more questions about the whiteness meter, you can check out the MBZ-2 product page. If you have any questions about this whiteness meter, or even the MBZ-P portable whiteness meter, please feel free to call us at 972-924-3443 or shoot an email to support@ZaccariaUSA.com.